The first time Hubby took me home to meet his family, I feel in love. Both with his family and with his Mom's cooking. She is a phenominal cook and a lot to live up to. I was never one to cook, so it has been a learning process (think split pea spaghetti) but I have FINALLY gotten the hang of things. My cooking is now one of the things I get complimented on the most. 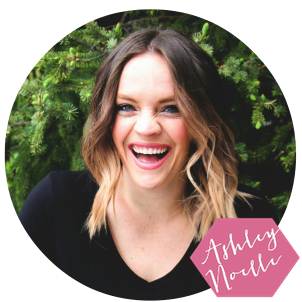 And so, for something fun I, inspired by my friend Jenna at Eat Live Run I thought I would write a little food post for you guys featuring yummy cake pops! 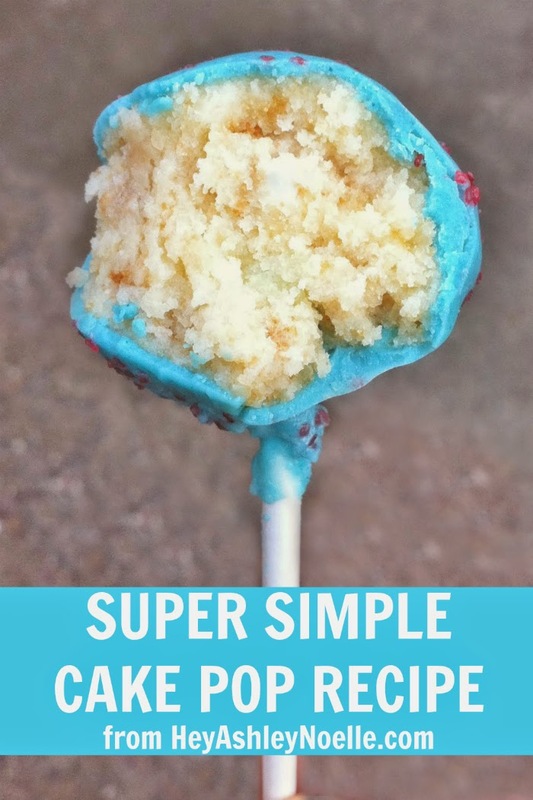 So here is your super simple cake pop recipe! First things first are my ingredients. I actually picked everything you see here up at walmart for only $12 (score). I was going for a red, white and blue memorial day pop so I just went with just a plain French Vanilla cake and vanilla frosting. I also got some white candy melts, some red sugar crystals some lolipop sticks and I already had the food coloring. I know that Bakerella uses styrofoam when she dries her cake pops but I found some cheap florist foam blocks and some tins that ALMOST fit them, so I grabbed those, too. I just baked the cake according to the box and cut it into sections so it would cool faster (I was on a time crunch) I took all the sections out and out them in a large bowl. I then used a wooden spoon to crumb the cake up. Next I just added about a half a can of frosting. I originally tried to mix it all with the wooden spoon but ended up taking off my ring and mixing the frosting with my hands. Next I rolled tiny little balls and placed them on a wax paper lined cookie sheet. Honestly, the smaller the balls the more sturdy they are. You should be able to make at least 40 cake balls As you roll them you will be able to feel the texture of the cake balls, if you notice they are a little to dry you can always add more frosting. I then melted just 3-4 chocolate melts in the microwave in order to add the pop sticks. I just dipped the tick in the melt and gently pressed the sticks barely halfway through the balls. Then I put the whole shabangbang in the freezer to set for about one hour. After the balls set, I melted the candy melts in a makeshift double boiler and added blue food coloring. I noticed that my candy melts weren't as melty as I'd like them to be so I poured in a ton of slowly added vegetable oil until it was really smooth and drippy. I found that the best thing to do was to make a little station. Pick up a ball, dip it in the melt, and gently rock it back & forth. DO NOT STIR IT or the ball will fall off. Gently tap your hand while holding the stick until the melted candy is coated around the cake ball and doesnt drip off anymore. Also, make sure the melt covers the bottom of the stick. Sprinkle the sugar crystls (or whatever topping you want on them) over the stick at this point and then put it in the foam to dry. They turned out so cute! And they were super moist and delicious! Enjoy! They look fantastic!you made it sound easy enough that even I could make it,thanks for sharing! ADORABLE! I always wondered how they got cake pops in the shape of little balls...now I know! Congrats on your new baby! p.s. your link to Jenna Eat Live Run doesn't work...you might want to fix it. :)Looking forward to more posts! These look wonderful and yummy too! I absolutely love cake balls! I love them, they look delicious! I just recently made some cake pops for my friend's daughter's 1st birthday, and also blogged about them! I'd love for you to check them out!